not intentionally. 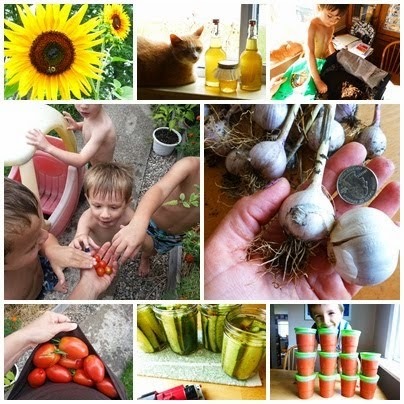 I attempt to keep this space mostly about gardening, seeds, simple living, and cooking. My personal life sometimes peeks through, but most of my deepest fears, darkest thoughts, and most difficult emotions are reserved for my private journals. I did write a shorter post here about my garden neglect, which focused on my sudden lack of time--I couldn't yet find the words to fully explain my shock recently as I turned down a little fork in my path. Or rather, looked down a path, took a tentative step, and then got yanked into an unknown forest, arms and legs flailing. I've tamed my angst down for you. I've saved you from the dark journal entries filled with tears and curse words and despair. You're welcome. Simply put, I got a job. Well, I've always had a job. Specifically, for the past 12 years, my job has been a home daycare provider. I worked at home and settled into becoming my own boss, raised my sons and provided care for dozens of awesome kids through the years. My intense love for gardening was born during those years. 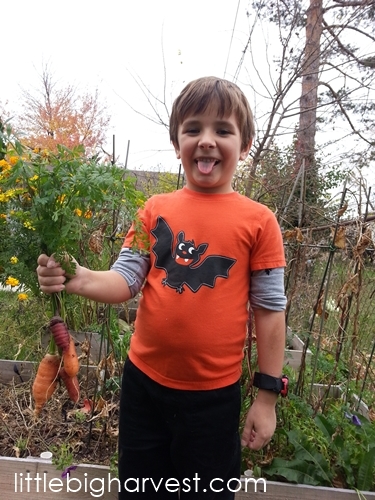 I had the luxury of spending hour upon hour in the backyard with all my littles, and during those hours I dreamed up spaces for growing food--and then learned hands-on food-growing lessons right along with those same littles. The kids and I were intimately tied to the gardens we created. My job was challenging and had very long hours (my doors were open to daycare children 11 hours a day, almost every weekday of the year, and I rarely had a day off), but it was immensely, indescribably rewarding. Though I loved my job, I knew daycare was not something I'd do forever. It allowed me to be home with my boys, a gift I will always be glad for. As we all know, kids grow up, faster than we ever expect them to, and sure enough, my boys got to the point that they were in school all day. A new job, out in the 'real world' called. Literally. That call for an interview came, after a few stumbling efforts at job-searching, filling out applications and sending my newly polished resume (on which I was very glad to be able to write about my daycare provider job--otherwise, there would have been an awkward 12-year hole in my job experience). I took a long look in my closet. I put aside my well-worn jeans and shabby t-shirt, dug out something I thought might resemble an interview outfit, tucked my hair (which had been very rarely cut or styled for years) into a bun, and headed out, my heart pounding. Fearing I'd bombed the interview because of my over-eager answers and occasional moments of silence, I was stunned to be offered the job the next day. Years of wondering what it would be like to leave my work-at-home-job culminated into a kind of anxiety I'd never known as the days counted down before I had to report to my new position. I had no idea what kinds of emotions I was about to walk into. From the first moment on the first day, I felt like a deer in headlights, but there was no time to stop and stare. My work was instantly demanding, draining, terrifying, and utterly overwhelming. The days became a blur, long and hard, and they melted into endless weeks. I entered a bit of a depressed haze. I cried almost every morning on the way to work, and some days at the end of my shift I was crying before I managed to get to my van in the parking lot, only to sob the entire way home. There were a couple of days it took everything in my being to not start the tears during the school day. "What was your problem?" you ask. "Why all the crying?" I tried explaining it to my family and close friends, and was met with sympathetic looks and hugs, but I could tell in their eyes they didn't really get it. I couldn't describe my feelings of failure when there were so many hundreds of details during the school day that didn't seem particularly horrible when I said them out loud. The words came out faltering and weak, which made me wonder, 'why AM I so overwhelmed? I can't even verbalize it.' I realized there was no explaining this culture shock--it was something I just had to manage, and harden myself to. I struggled so hard this fall, but small garden victories, like a load of carrots on Halloween day, kept me going. Being a teacher is something I've always wanted. I had so many incredible teachers and was always a pretty good student. Public education is something I knew I'd always be a part of. 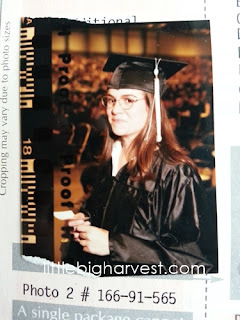 I earned my degree in elementary education at our local college, which ended up being more of a challenge than I had expected. During my second year of college I had my first son--I was 21 and unmarried and a child was not in the plan--but I barreled through. With family help I was able to maintain my job-with-benefits, attend school full-time, and raise a precocious toddler. Those years feel like some other lifetime, and I can't emphasize enough how grateful I am that I did finish. I may have stashed that degree away to collect dust, and my license may have expired years ago, but I'd made a 'savings account' for a future I didn't know was actually further from graduation than I imagined. That moment was a long time ago! A lot of dust has gathered on my hard-earned degree. Shortly after college I got a job as an assistant in a special needs classroom, and soon after that, got pregnant with my second son. It was then that I hatched up my plan to stay home and be the daycare instead of barely making ends meet working full-time outside of the home. It was a very scary decision for me. I figured I'd be a home daycare provider for 5 years or so. I'd jump right back into my budding teaching career, so I thought, after a nice little half-decade of working at home. Another beautiful son came into our lives, 5 years after the second one. Instead of heading back to a teaching career according to 'schedule', I started anew with diapers and more daycare kiddos. Life happened, a happy, busy life, and the passing of 12 years made me very secure and comfortable. Tired, yes. Overwhelmed with responsibilities of family and long hours of providing daycare, sure. But, I felt confident, able, and like I was doing something worthwhile. Not only did I feel like I thrived at providing daycare, I also felt like I was coming alive with ideas about the age-old skills of backyard gardening. I watched a local urban garden powerhouse, the Young Urban Homesteaders, take off (and have at times been graciously invited to help with their various food-growing initiatives), and have dreamed about the potential of the empty lot across from me for years, while finding places to plant food all around my tiny yard. While I got really comfortable (but always fairly exhausted), I still knew that at some point I'd want to continue pursuing a teaching job. I didn't realize how far removed I was becoming from that dream. Yes, my boys went to public school, so I was familiar with its workings from the standpoint of a parent. My Facebook feed, always speckled with memes and articles about the hardships and frustrations that public school teachers face, kept me from getting too starry-eyed about the profession. Despite any and all negativity, I knew that there would come a day when I would pick up the teaching reins where I left off, and get going again. When I walked out the door that first day of work, my body, mind, and soul rebelled. "What? You are leaving this house and this garden, and won't be puttering around checking on things all day? But this is where your heart resides!" Not only was I leaving my comfort zone, I was walking away from a 12-year long era--a chapter of my life. My little boys didn't need me all day long like they used to. The time to move on had come and I wasn't 100% ready to say goodbye. Every parent knows that deep bittersweet feeling when the babies are no longer babies and life moves on. I didn't expect it to actually physically hurt to go away every day to face my 'new life', but it did. Home-and-garden-separation-anxiety aside--the job had been accepted, the daycare kids had all moved on to other arrangements, and I was committed to this new journey. My first shock, on the very first day, was lunch duty. In my daycare, lunchtime was almost sacred. Preparing the food, oftentimes with kids' help, finding healthy and nutritious veggies--sometimes directly from the garden--and treating food like a simple celebration had become the norm at my table. Hardly any food ever went to waste, and what tiny bit wasn't eaten, went to the compost or to the dog. I'd sit with the kids and eat with them. We joked, I'd read a book, we'd be silly, sometimes spill and make messes. Because the kitchen table sits right under a window, many of my memories include the sun pouring in on us, golden and warm. Enter the public school lunchtime. Feeling eager to do a good job, I hustled in with my coworkers and got a crash course in lunch duty, never showing the horror I felt during those first lunch periods I assisted with. The packaging. So wasteful! The rushing. The firm demands that the kids be quiet and eat. Hurry up. Again, the packaging! Foil and plastic, everything wrapped. Entire lunches thrown away once we barked at the kids to finish up. Giant black garbage bags, bulging with wasted food and packaging. All for a 20 minute lunch with very little food celebrating going on. This is what my school-age boys had done for lunch every single day while I sat around with the younger kids and enjoyed a wonderful meal? The shock of it was just the beginning of more rude awakenings to come. If we weren't eating lunch at our sunny table, we were eating outside. A far cry from my new lunch experience. Like the tests. Yeah, yeah...I know that you know. Everyone knows. We test the kids to death. It's not that the tests alarmed me, since I was already aware of them--it was the fact that the teachers were expected to administer these tests (one-on-one) while making sure that the rest of the kids continued with the rigorous curriculum. I was able to help the teacher get this feat accomplished during my first few weeks at the job--the beginning of the school year--and for that I felt really good. I could take over and lead the class if the teacher needed to get some more testing done. What on earth do teachers who don't have the luxury of an assistant DO??? Especially in those early weeks, when the first round of testing needs done and a classroom routine has not even been established yet? The shocks and the realities just kept pelting down on my sheltered head. A classroom of 25 seven- and eight-year-olds has a very different set of needs than a group of 3-5 preschoolers. Nothing in college--not even my semester student teaching (did I just block it out once I finished???) -- prepared me for the realities of what teachers have to do. It is true, everything you have ever heard--they have to teach, counsel, referee, console, discipline (but not too much). They have to keep mountains of paperwork tamed. They must figure out how to reach kids of all ability levels and give every child a meaningful learning experience--even if the kid doesn't want it and actively fights it. They have to maintain a sense of sanity and appear to be a normal human being when all the demands of keeping a class of 25 or more children learning--while also accomplishing all of the things they are accountable for--threaten to make their heads explode. They have to talk, a lot. There are no off-days...the students require your 100%, every single day. On top of the stress and demands, teachers have to tend to their own broken hearts after-hours when a student faces a situation that children should never have to endure. Often times, even after performing miracles, they are criticized and demanded to show their effectiveness in ways that seem impossible. I was overwhelmed and I didn't even have a fraction of the responsibilities that the teachers had. I didn't have all the responsibilities the teachers had, but all day I tried to imagine being in those shoes since it was my ultimate goal. On top of the sometimes awkward vagueness of my responsibilities, and the occasional gentle-but-mortifying reprimands when I didn't do something the way the teacher wanted it, I spent too much time convincing myself that my ultimate goal was going to be absolutely impossible. If I could not handle being the assistant, how on earth would I ever handle the much-more-difficult job of being the teacher? Why did any of this even matter so much to me? Because there was no alternative; this had to make sense to me, this had to work, and my path had to keep going toward the end-goal. Teaching. There was no other option that I could think of. Going back to daycare providing was not something I truly wanted, even though my husband assured me it would be fine if I wanted to do that, as he helplessly watched my frustrated tears fall. He also offered to see if he could find a job for me at his company, and I smiled through my tears as I imagined carpooling with him and eating lunch with him daily. NO, I had to keep on this path, and if I crashed and burned, that was the risk I just had to take. I had to survive all my tormented doubts and shocks and fears until I made it. As the realities of this new world bombarded me, I cried for a life I had left--where the only accountability I had was to myself and my beloved daycare kids. They learned from me. I learned from them. We learned from the garden. Those days seemed dead and I mourned. I still mourn. If you have made it this far, I applaud you! Much of this is the kind of rambling people tune out. It's a whole lot of self-reflection and perhaps a bit of self-pity, and the latter makes for terrible blog writing. I promise, this is all tying together, and after 4 months of showing up every day, this new job and lifestyle is starting to make sense. Boo-hoo! The job is so hard and sometimes I feel inadequate and under appreciated, and some days I want to run away from the public school system and pursue something else--anything else--to make a living. Well, boo-hoo--welcome to reality! Everyone works hard. Every job has difficult demands and frustrations. People can learn to live with passion and find fulfillment, even while working full-time. My mantra--repeated throughout the day and as I tossed and turned at night--became "What Are You Made of?" I wanted to be made of grit, determination, and hard-earned skills. I decided I wanted desperately to be 'good at life' like everyone around me, and I wanted nothing more than to be a teacher. I still wanted to achieve that dream. No matter the shocking realities I'd forgotten about "The Real World" during my solitary years of guiding and teaching a handful of preschoolers. I had to accept co-workers, a boss (well, several), disagreements, some negativity. I had to accept my many imperfections, and to learn to like who I was even when I didn't do a task perfectly. I had to find my own way, my own mark, while figuring out my job description and just hoping that I wasn't messing it up too much. After 4 months, I'm crawling out the haze of shock with a new determination. I will never live that 'homesteader's life' that I've romanticized, and actually, I don't honestly think that is what is meant for me. Most of my favorite garden bloggers have wowed me with all they do while still maintaining a day job (like one of my top inspirations, Mother of a Hubbard, who grows astounding amounts of food while working as a college professor. She recently moved, but for years grew her family and her food on a lot tinier than my own). Many avid gardeners that I know in real life work full-time while growing incredible gardens--Uncle Loren, Aunt Lori, Aunt Louise, to name a few. There is a reason why I have learned so much about growing food and why I've become almost obsessed with gardening in small spaces. The passion will never go away, and I don't have to let it die just because I am going to work away from home. Teaching is my other life passion, and it's huge. I believe in the public school system. Period. I have always believed in the public school system, even in the face of harsh media and criticism. Is it perfect? No. But I still champion it, believe in its purpose to reach all children, and believe that I will contribute to it. I want to be part of the public school story--the ugly, the bad, and the really, really good. Let me tell you...no matter what you've heard, there is a LOT of fantastically good to be found. My passion for teaching includes literacy, math, science, and social studies--everything I enjoyed learning and can't wait to pass on. Along with the basics of a good academic education, I also hope to pass along some knowledge about the bigger picture. I envision a garden club after school hours. Starting up a recycling/composting system for the lunch waste. While my main focus will be helping my students become lifelong, curious learners by creating a literacy/math rich classroom environment, I want to offer them even more. Maybe I won't become a self-sufficient off-gridder (or maybe I will), or I might not ever get my chickens (please don't let that be so! ), but my passions and the things I've learned will only continue to grow and change, and maybe even inspire someone in the next generation in the meantime. It's not that my dreams have died, it's that my time has been monopolized and I've had to imagine a new path for those dreams. I can honestly say I have no idea what life has in store. The empty pages ahead of me hold more exhilaration than they do fear (a couple of months ago, I was only gripped by fear--I was frozen and hopeless). As I've worked and watched the daily life of elementary school, I've relaxed and gained loads of confidence. However, I still have moments of sheer terror. "What if I fail at this? What if I can't handle it? What will I do if my teaching dream falls flat and I realize I don't have what it takes to make it?" Monday (two short days from now!) I am starting a night class. In order to renew my teaching license, I need 6 college credits. I signed up for a class at the same college I earned my degree from (it's only five minutes from my house!). It's a really solid step toward finally becoming a teacher, and I'm filled with hope. I am already starting to sort through my tomato and pepper seeds, the first seeds that will be planted indoors in just a month or two. I hope to have extra seedlings to share with my coworkers, because I've caught on that there are a few gardeners at work. The boys' school and extracurricular lives will be picking up speed with swim team season, and the time I already felt I didn't have will be stretched further. I have a feeling my crock pot will be getting a lot of use since I'm not sure when I'll be able to cook. Okay, let's be real--the crock pot actually does take some prep, so we'll more likely be relying on cheese toasties, canned soup, or Taco Bell. Yeah I know...for someone who has cooked a good portion of the family meals from scratch for a couple of years, this is hard for me to admit. However, as busy as the coming months will be, my mind is clearer than it's been for awhile, and I'm finally able to appreciate my 'now' instead of longing to go back. I know in my heart that whatever I am doing in the next few years, my garden will be a key part of keeping me grounded, focused, and--come summer--filled with delicious vegetables and ready to take on the world. Life, make way--I'm coming through! 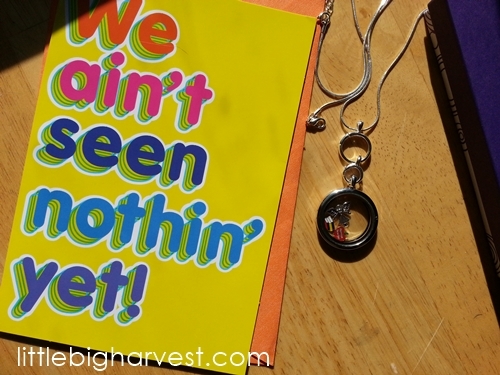 A beautiful charm necklace and card my parents, brothers, and sisters-in-law gave me when I started the new job. It helps to have people cheering you on! Ahhh....acceptance has come! Yay, I knew you would find your happy medium. It's in all of us(sometimes we have to work at it)and quite frankly it is a life long journey to find balance. Part of the journey is finding out how to compromise as well as learning to set limits with your time. You my friend are getting there! It's a wonderful thing when it all comes together! Thank you so much for always offering your words of support. They mean more than you'll ever know! Re: "I'd really love to hear from you." Okay, I’m not your typical reader, just a tired old bachelor, with no kids. That said, I believe Motherhood and child-rearing is the most important work on Earth. Andrea - stick with your first impressions. "Enter the public school lunchtime... The packaging. So wasteful! The rushing. The firm demands that the kids be quiet and eat... Entire lunches thrown away once we barked at the kids to finish up..."
"some days I want to run away from the public school system and pursue something else--anything else--to make a living"
"I believe in the public school system. Period. I have always believed in the public school system, even in the face of harsh media and criticism. Is it perfect? No." Who says there can only be ONE public school system? "My little boys didn't need me all day long like they used to." Andrea, your boys, and all the children, need YOU to send a wake up call to the "system" for all the reasons you articulated. Run Andrea, and start an education revolution. If not you Andrea, WHO? If not now Andrea, WHEN? swiss replica watches sale , combining elegant style and cutting-edge technology, a variety of styles of cartier crash replica, the pointer walks between your exclusive taste style.